Tom McMillen has had a highly diversified and successful career in the three very high-pressure and competitive worlds of sports, business, and politics, while also maintaining a long-term commitment to public service.McMillen currently serves as the Treasurer of the National Foundation on Physical Fitness, Sports and Nutrition, a new, congressionally authorized foundation that he worked to establish and on which he previously served as Chairman. The goal of the Foundation is to help support with private funds the initiatives of the Council on Physical Fitness, Sports and Nutrition, which receives very limited funds for its programs. The creation of this foundation is the culmination of over 40 years of McMillen’s commitment to the President’s Council. From 1987 to 1993, Mr. McMillen served three consecutive terms in the U.S. House of Representatives from the Fourth Congressional District of Maryland. In Congress, Mr. McMillen served on the Banking, Finance and Urban Affairs Committee, the Energy and Commerce Committee and the Science, Space and Technology Committee. He was unanimously elected as President of the Democratic freshman class of the 100th Congress. While in Congress, Mr. McMillen held the Maryland record for consecutive House floor votes, casting 2,050 votes in a row during his first five years in office. He served as Chairman of the Congressional Chesapeake Bay Caucus, Co-Chairman of the Congressional Biotechnology Caucus, and Vice-Chairman of the Federal Government Task Force. Mr. McMillen’s sports career had an inauspicious start as the family’s orthopedic surgeon gave the prognosis to McMillen while in grade school that, because of a knee defect, he would never play basketball. Do you want to mention wearing leg braces—he was determined to play, etc. Despite his doctor’s warnings, McMillen had an illustrious high school basketball career and was featured on the cover of Sports Illustrated as the best high school player in America and held the all time Pennsylvania scoring record for 28 years (including a 47-point average his senior year). State Champions. McMillen graduated as valedictorian of his class and, after a highly publicized recruiting ordeal, he chose to attend the University of Maryland, where he was a three-time All-American and an academic All-American (selected on the inaugural team in 1988.McMillen still holds the all-time career scoring average for Maryland’s basketball program. During the 1972 Olympics in Munich, McMillen played on the team in the controversial game where seconds were added to the clock at the end of the game in a refereeing dispute. The US basketball team refused—and has continued to refuse—a silver medal because of refereeing disputes. McMillen also served as the Chairperson for the Governor’s Commission on Student Affairs. When he graduated from the University with a Bachelor of Science degree in Chemistry, Mr. McMillen delivered the valedictorian address for his class. He then began study as Oxford University as a Rhodes Scholar—he is the first and only University of Maryland student to be awarded a Rhodes. At Oxford, he received a Bachelor and Master of Arts in politics, philosophy, and economics. In the 1974 National Basketball Association draft, Mr. McMillen was the first selection by the Buffalo Braves. He subsequently played for 11 years in the N.B.A., with the New York Knicks, the Atlanta Hawks, and the Washington Bullets (now Washington Wizards). He retired from the N.B.A. in 1986 when he was elected to Congress. McMillen is the only professional athlete to announce and campaign for Congress while still on the roster of a professional team. Currently, Mr. McMillen serves as Chairman and Chief Executive Officer of Washington Capital Advisors, an investment firm. He is a director of RCS Capital, a publicly traded investment bank, asset manager, and broker-dealer, and a director of Nexstar Broadcasting Group, a publicly traded owner of television stations across the US. Mr. McMillen also serves on the advisory board of Clean Energy Systems, a clean-coal technology firm; Integrity Global Security, a cyber-security firm; and the Association for Earth. During his career, Mr. McMillen has been an active and innovative investor, principal, and board member in companies in the following industries: cellular telephone, paging, health care, environmental technology, real estate, and insurance. In May 1988, Mr. McMillen was inducted into the first GTE Academic All-American Hall of Fame as a charter member. From 1991-2003, he served on the Knight Foundation’s Commission on Intercollegiate Athletics investigating abuses within college sports. In 2002, on the 50th anniversary of the Atlantic Coast Conference (ACC), Mr. McMillen was chosen as one of the ACC’s Top 50 players of all time. In 2005, McMillen was inducted into the Washington Metropolitan Basketball Hall of Fame. In 2010, McMillen was inducted into the University of Maryland Alumni Hall of fame. In 1993, McMillen was named by President Clinton as co-chair of the President’s Council on Physical Fitness and Sports. In May 2011, McMillen was appointed as the Chairman of the National Foundation on Physical, Fitness, Sports and Nutrition, a Congressionally authorized foundation that McMillen founded to help support the programs of the President’s Council. Mr. McMillen serves as a member of the University of Maryland System Board of Regents, a member of the Board of Visitors of the University of Maryland College Park’s School of Public Affairs, a member of the University of Maryland College Park’s Center for American Politics and Citizenship, and a member of the National Security Advisors of University of Maryland College Park. He is a member of The Economic Club of Washington, DC. He previously served as a member of the University of Maryland College Park’s Foundation Board of Trustees and as Chairman of the University of Oxford U.S. Sports Campaign Committee. 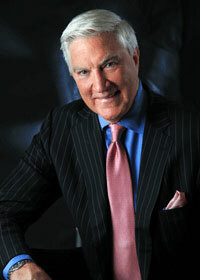 Mr. McMillen is a member of the Board of Trustees of the Hellenic American University in Athens, Greece. Mr. McMillen is the co-author of Out of Bounds, a book examining sports and ethics in America. He has also written opinion pieces and other articles that have been published in the New York Times, the Atlantic Monthly, the Chronicle of Higher Education, USA Today, and the Baltimore Sun, among others.